Duration: About 1 hour for short route, about 2.5 hours for longer route. Surely one of the most popular walks of all time near Dublin. 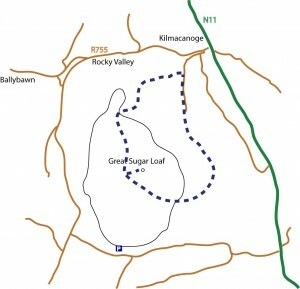 A favourite walk for all ages with fantastic views down the coast and inland to the Wicklow mountains. 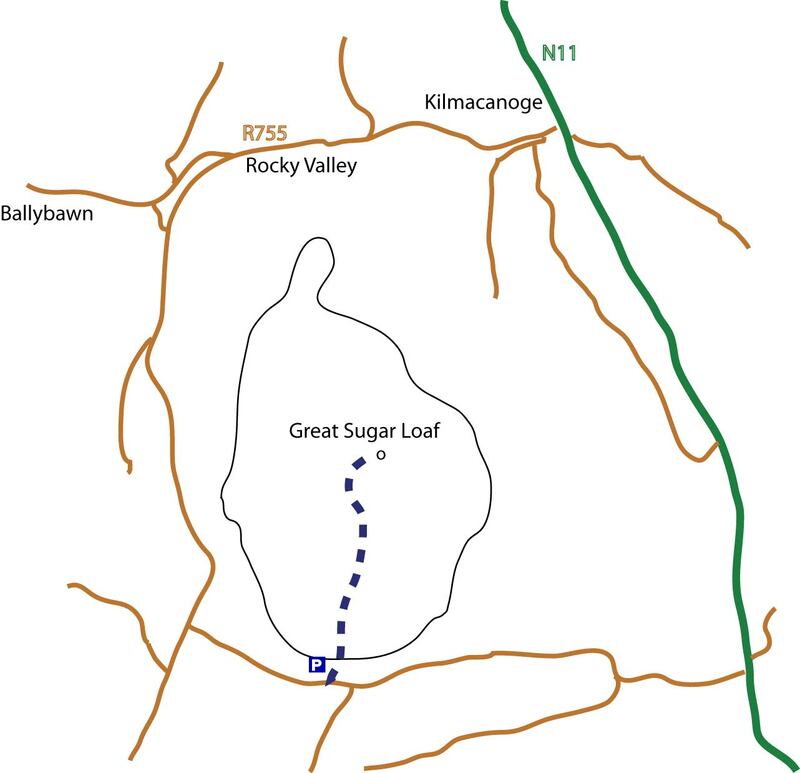 The shorter walk can be done in about an hour there and back (maybe an hour and a half with smaller children), with the longer route starting from Kilmacanoge taking about 2.5 hours. Children love the scramble up the rocky path near the summit, and the scamble back down, although younger children will need adult help. Probably the most difficult part of this route is finding the small side route leading to the hill – see map below. Park at the foot of the hill (there used to be a car park, but its now closed so its necessary to park at the side of the road). Follow the path, which is clearly visible, to the top of the hill. Again, probably the hardest part of this route is finding the starting point. Take the exit from the N11 into Kilmacanoge village and immediately take the left hand turn up a narrow road to the GAA ground. Along the side of the GAA ground is a path that marks the start of the route. Follow the path to the shoulder of the Sugar Loaf. A clearly marked path then leads along the shoulder and up to the summit. On the return, it possible to retrace your steps. 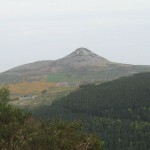 But an alternative is to continue south and circle around the Sugar Loaf. Head for the Glen of the Downs and join the path that leads north back to the GAA ground. Click on map to enlarge. 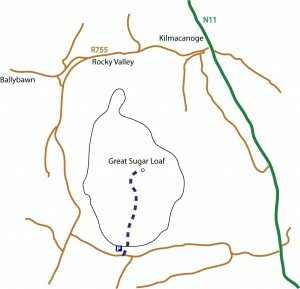 Route starts from Kilmacanoge. the large google map seems to be incorrect when you click ‘view larger’. A map of The Netherlands comes up. NOW THAT’S SOME WALK! well spotted ! should be fixed now. I took longer route today, and finding starting point from GAA ground was in fact quite easy, however I didn’t manage to find southern route, the one I took just disappeared in the bushes(yes those sharp ones, brrr, my poor gore-tex), I just continued, and found another trail and thought it was the right one, but that one also disappeared somewhere on the western part on the hill. I manage at last to find route I climbed up and went down to a car. It was great, I little bit excitement ;) just want to say southern-western route can be maybe harder to find. 2.5 hours is probably for families with kids, I managed in two hours with photo stops, and got a little bit lost on western side of the hill so I had to walk through a lot of vegetation that slowed me down. I think that carpark is back open. Did the longer walk this day last week. Started by taking the north side walk. Lovely walk but steep and hard at times. The climb to the summit is a climb for the last 300 meters using the hands to pull yourself up. As for the return journey we came back via the southern route, this may have been a trail at one stage but is now overgrown and definately not for childern. I would not go the southern route again it was just crazy, gorse is waist height on a very steep gradient, not fun. After quiet a few falls and a lot of tears from my female companion we arrived back at the carpark 4.5 hours later. We had GPS and followed the route exactly so we didn’t miss the correct path. All in all we had a great day, so thanks to whoever is behind this website for the info. Views from the top are great. The path runs on right beside GAA ground, ignore the track under the metal posts on the left. Quite quickly, the path splits in 2. It may be easier to take the left hand path, as while this meanders round the lower slopes & at time there are a couple of tracks meaning a bit of decision-making involved, if u keep circling rightwards around hill, you’ll eventually hit the steep track upwards that is shared with the shorter route. From the top, the stony path leading back around right to bring you full circle is easily seen… Thx for all the great posts! I was thinking of doing the long route solo this Friday. any tips? Like NOT doing it solo? too late, went today, cracking walk, tough to start off, but once i reached the ridge it was plain sailing. After a few attempts I finally found the correct long way back.. Go down from the top the same way you came up, and head towards the car park you can see nearby.. There is a path that you cross about half way to it that is heading around to the left. Follow this , and if there’s doubt about the direction of the path make sure you’re heading towards the corner of the field.. The path back from this point on is quite obviously a path.. if you realise that you’re not on a real path turn around and retrace your steps – it’s way quicker than ploughing on regardless believe me! Lovely short walk. Decent footwear is required though! Great walk. Went with my 5 years old, had an awesome time. Thank you for the directions – found everything without problems. Many thanks for the directions, they were very useful. I did the long route and it was quite easy to find the starting point, GAA club, there is a signpost before the road that leads to the club. I started walking into the south direction, along the road. Then I simply followed the main path and after 30-45 mins I ended up crossing the short path that led me to the summit. On my way back, I took the north route, and once started descending, it was quite narrow at times with a bit of bushes that made me thinking the path is not used very frequently, however i saw family with kids going other direction end eventually I ended up just on the parking spot. Beautiful views and the weather was great too! Is it possible to get the bus from Dublin to Kilmacanoge? Hi Tony, yes, the Dublin bus 145 depart from Dublin with stops in Kildare street and St. Stephen Green and leaves you in Kilmacanogue. Parking lot is open again. 20.11.2015, but < 2m headroom gate!!!! Anybody thinking of the longer walk should be aware that a large section of the paths are quite overgrown. Did the long walk from Calary car park, around the western side of the Sugar Loaf, down to the GAA grounds and then the eastern side back to Calary. The section down to the GAA grounds and from there back to Calary is heavily overgrown with ferns and it’s quite easy to miss the trail at times. Our 500m ascent felt like a lot more so be warned. The views are indeed fabulous! The short route is almost a highway, it would be easy to find even without the crowds we saw there today. The parking below is still functioning, and is very popular. We took the longer route – at least tried to. There is actually a web of paths leading from the GAA grounds to the summit from the north, the one we took was pretty easy. But circling the mountain from the south was trickier. We finished by walking across the ferns and gorse and heather. We should have read Lucy’s comment earlier! Walked up the shirt route from the carpark this morning, last 40 meters are a fun clamber. Decided to be adventurous and go strainght down the north side over the scree and rocks. Challenging and a little dicey at times as the fitting is not that stable but it does make for a fun descent. I went about halfway down and then traversed west towards the path which links up with the shirt route. Path was wIde and not missable. Then walked back to the car on the shirt route. Going back up tomorrow as I want to do Sugarloaf and little Sugarloaf in one day. walked this today from the GAA pitches, could not find the directional signs, headed up to the base of the mountains as I know the area. We got to the base of the mountain but could not find the directional post for the return trip. We asked some locals and they couldn’t figure it out so someone in wicklow county council or Kilmac need to make improvements to this super amenity in Co Wicklow. Completed walk today and took just over 1 hour to get up and down and spending about 10 mins at the top. Thanks for putting together this site as we had no idea about it. We had a great day and the climb up to the top was great fun. Well worth doing. 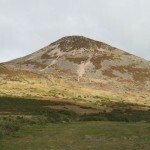 Could someone please post some info about the route, how long of a walk it is from the Greystones DART station to get to the starting point of the hike up to the top of Sugar Loaf? Sure would like to take the DART, then walk to the top of Sugar Loaf, but can’t figure out if its feasible. 2. 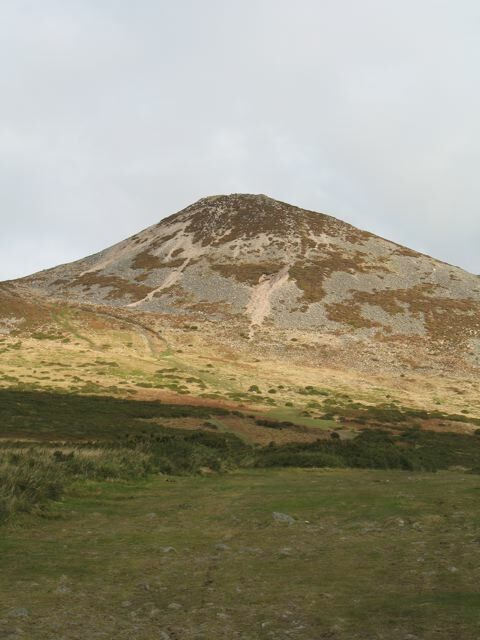 Ascend to the top of Bray head from seafront side then descend towards Southern cross road (there are three descent options – so make sure you get on the right track). 4. Keep right as you walk through the estate until you end up on a long straight road between fields. 6. Descend on the side of little sugar loaf to come out on Bohilla lane. 7. 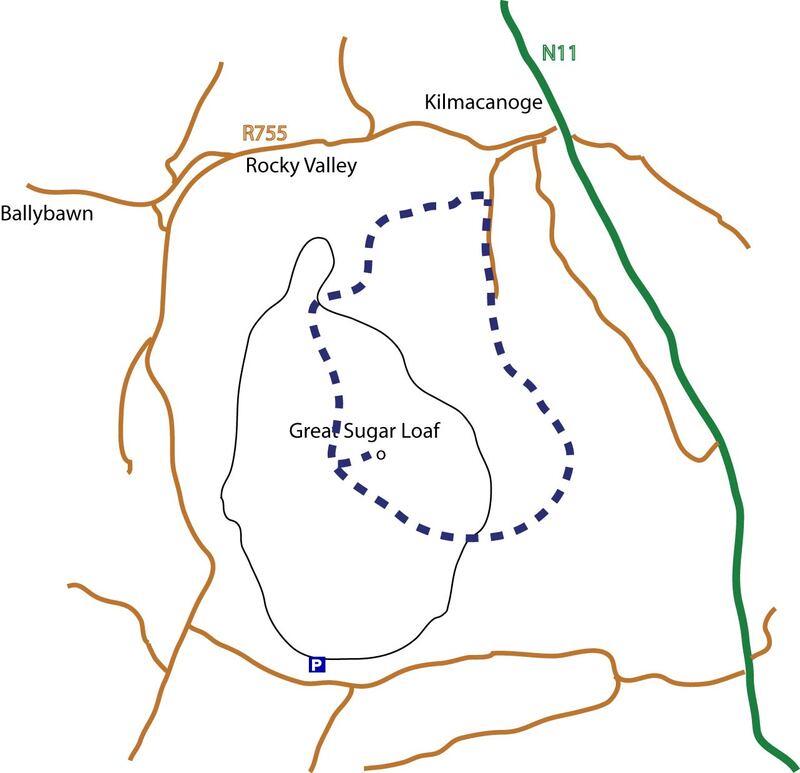 Turn right and walk down Bohilla lane to a roundabout which connects to the kilmacanogue/N11 overpass bridge – (you will see Great Sugarloaf straight ahead). 9. 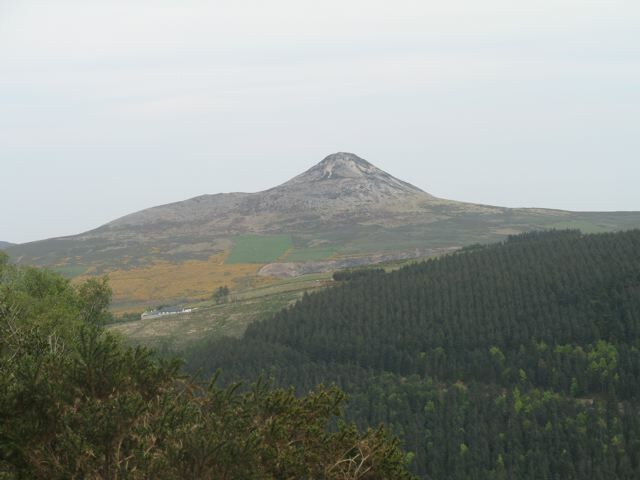 About 25m before the roundabout there is a left turn which will bring you to the southern track of the great sugarloaf. I couldn’t be sure how long this would take in total but it would be a fairly epic day of walking so Id advise you to start very early. I imagine you would then get a 145 bus from Southern Cross/Ballywaltrim back towards Dublin as the return journey would be too much…There are probably shorter routes if you are happy to walk on roads… Good luck! Did the long circuit today and must be unfit as it took more than three hours. Most of the maps on the net are rubbish, but East-West Mapping’s 1;30,000 ‘Wicklow Mountains East’ is good (for this and many other great hikes) and makes sorting out the paths after the GAA football ground easier. You can do the whole thing in runners but stout hiking shoes/boots are much more secure on the rocky last bit. it’s an easy scramble (honest!) but needs hands and some find it a little scary. Today was idyllic but weather can change fast on Irish mountains and a light pack with rain jacket, water and snack makes sense even on this relatively undemanding hike.